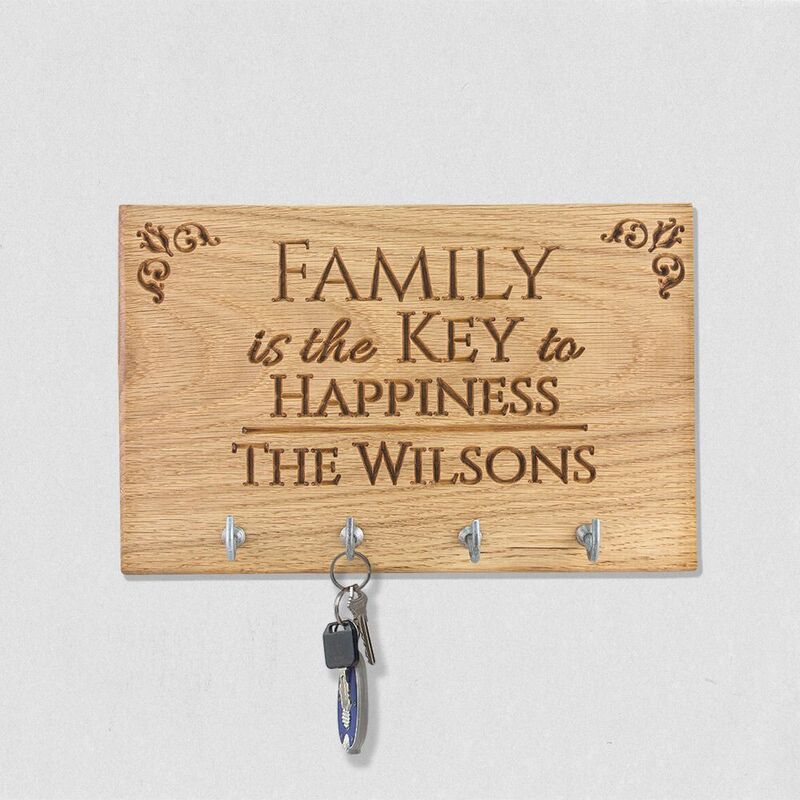 Adorn your home with this beautiful solid american white oak key holder. 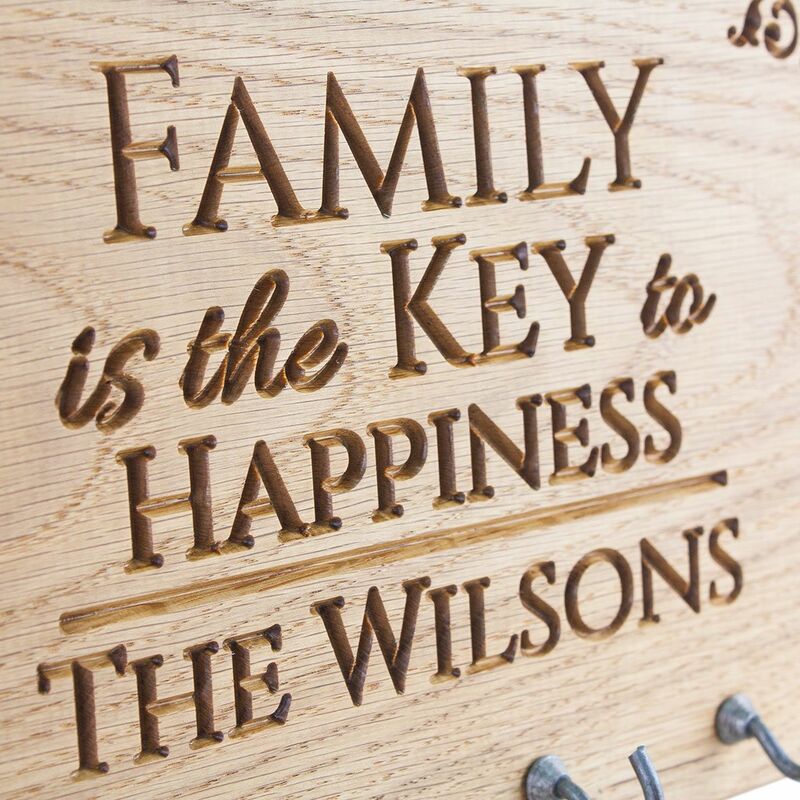 This unique design is deep engraved and can be personalised to add any surname or family motto below the ''Family is the key to happiness'' text. Fitted with fixings at the back- so no fittings on display once your sign is up. All our unique house names are made specially for you. 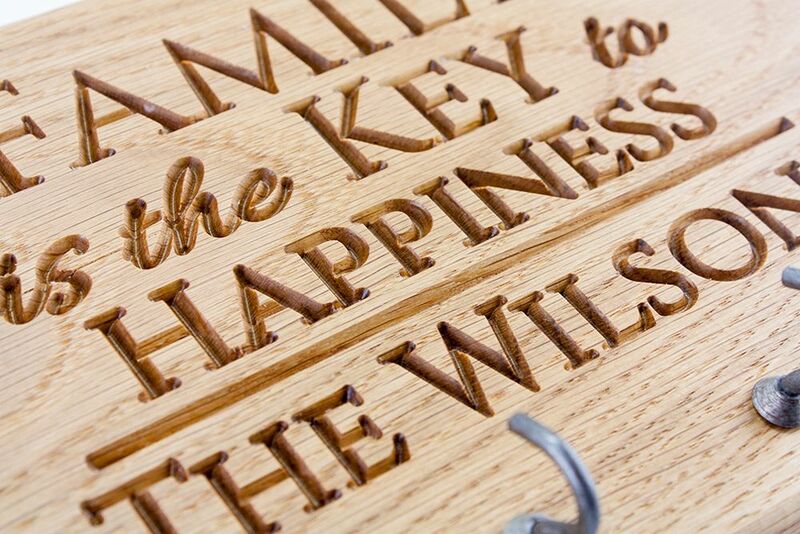 The oak is hand selected to make sure it is perfect. Planed and smoothed. Then the numbers/letters are engraved (not by a cheap lazer) and finished. Then we apply a special coating to keep the wood protected and to seal the colour to prevent the wood turning grey. Stunning solid American white oak with distinct natural grain - no two pieces are ever the same.